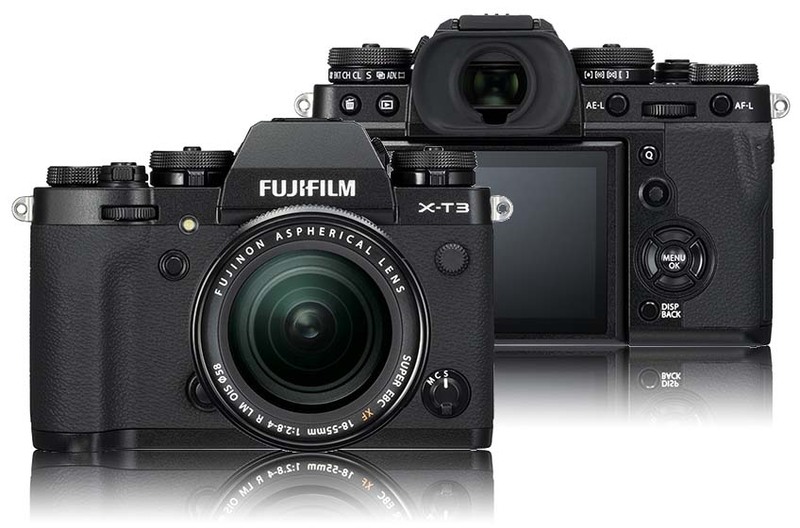 FUJIFILM Corporation (President: Kenji Sukeno) will release new firmware updates for the FUJIFILM X-T3 (“X-T3”) X Series digital camera in April. The AF algorithm has been improved along with the accuracy of face / eye detection AF. The ability to detect faces in the distance has been enhanced by approximately 30% and AF tracking is now more stable, even when an obstacle appears in the way. The improvements in AF are applicable to both still photos and video recording. The Face Select function has been introduced to provide priority auto-focus, tracking and exposure on a selected subject when multiple faces have been detected. The priority face can be selected by using the touch screen or focus lever. Thanks to the improved AF algorithm, faster AF speed is achieved when shooting from short to long distances (or vice versa). A Double Tap Setting and Touch Function has been added to the touch screen settings*. The two settings must be set to OFF to provide a better touch screen response. These new settings allow a more intuitive touch operation when shooting, AF and focus area select. *By default, Touch Screen Setting, Double Tap Setting and Touch Function are set to all OFF. For improved touch screen response, Touch Screen Setting must be set to ON. The new “Bright Mode” gives a brighter and more vivid image when using the “Advanced SR Auto” mode. The “Bright Mode” can be turned ON / OFF easily with a single tap on the LCD touch-screen. Fujifilm Corporation (President: Kenji Sukeno) will launch a new version FUJIFILM Camera Remote (Ver. 4.0) for your smart devices which support all of FUJIFILM wireless-equipped digital cameras. The FUJIFILM Camera Remote app can operate wireless-equipped digital cameras by remote control to shoot images and movies in the camera and to transfer them direct to your smart devices. The pairing process is now easier thanks to the newly designed interface in Ver. 4.0. It also includes an “Album” function that allows you to browse only the images imported from the camera. *「Apple」「App Store」 are trademarks of Apple Inc.
**「Android」「Google Play」 are trademarks of Google Inc. This entry was posted in Firmware, Fujifilm X-A5, Fujifilm X-T100, Fujifilm X-T3, Press releases and tagged Fuji Rumors, Fuji X-A5, Fuji X-T100, Fuji X-T3, Fuji XA5, Fuji XT100, Fuji XT3, Fujifilm, Fujifilm Camera Remote, FUJIFILM Camera Remote app, Fujifilm Rumors, Fujifilm X-A5, Fujifilm X-T100, Fujifilm X-T3, Fujifilm XA5, Fujifilm XT100, Fujifilm XT3, FujifilmRumors, Fujirumors, X-T100, X-T3, XT100, XT3. Bookmark the permalink. Trackbacks are closed, but you can post a comment.